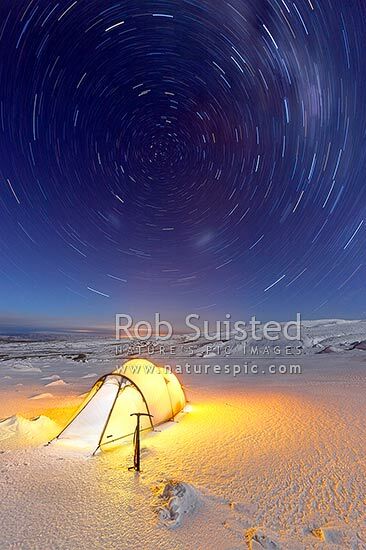 Winter tent camp on the Round the Mountain Track of Mount Ruapehu in moonlight and snow. Rangipo Desert. Time exposure star trails orbiting around the southern celestial pole, Tongariro National Park, Ruapehu District, Manawatu-Wanganui Region, New Zealand (NZ), stock photo.